Rent Captain's Quarters and the Captain | Corporate Events | Wedding Locations, Event Spaces and Party Venues. 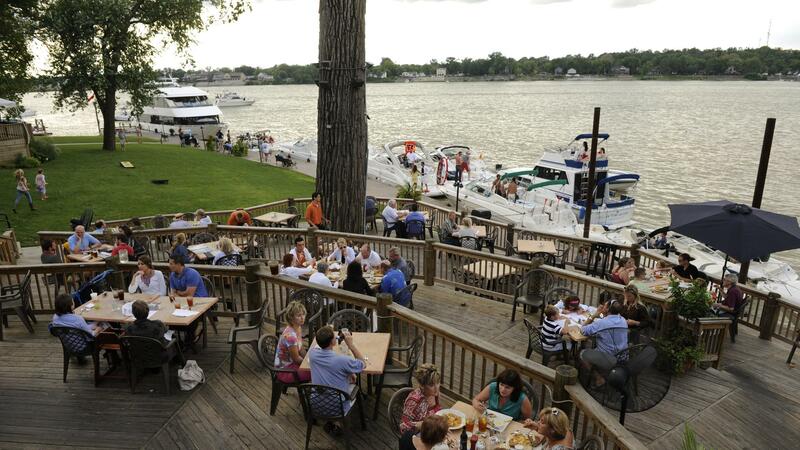 Captain’s Quarters offers the best in riverside dining in the region. Nestled along the scenic banks of the Ohio River, Captain’s Quarters Riverside Grille offers delicious seafood dishes, international cuisine and an array of refined American fare – all served in a picturesque atmosphere. ome enjoy a relaxed dining experience on the river. From family friendly meals, date night dinners, brunch on Sundays we have it all. Captain’s Quarters Riverside Grille has the ambiance, atmosphere and gourmet cuisine to make your experience truly unforgettable. It is more than just riverside dining, it is a dining experience. Captain’s Quarters offers five distinctive private event spaces to fit just about any occasion. Whether you desire a buffet-style meal or white-glove five-course dinner, Captain’s Quarters professional staff can make any event a success. Let us help you make a memory.